A great solution for growing and harvesting macro algae for nutrient control. The AquaFuge2 also creates a safe harbor for macrofauna to reproduce which helps maintain thriving populations of copepods and amphipods. 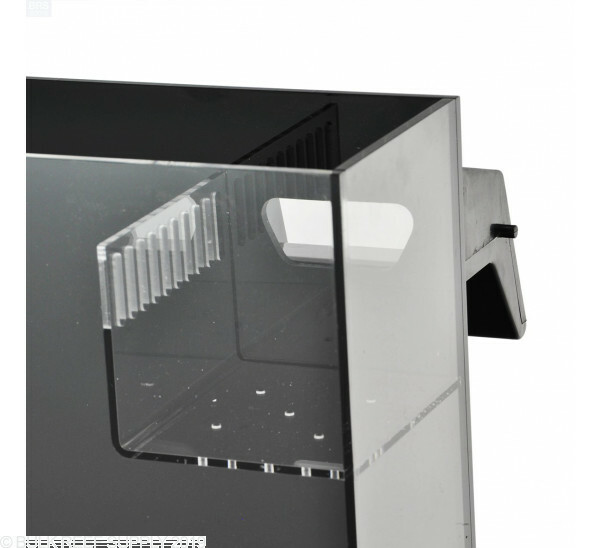 Redesigned with a black acrylic backing to prevent light from transferring to the main aquarium. A powerhead and unique baffle system prevent substrate and organisms from being disturbed yet allow enough water to flow through to eliminate any stagnant areas. Need pods? This is the way to keep a population up. I was able to maintain a vast population for my fat manderin with no worries of him ever wiping them all out. i love this refugium. i have a 40g tank without a sump so i decided to get this refugium so far it has been great.. I'm running cheato and the amount of pods that are calling this place home is amazing... its unique design allows for plenty of room for my heater and carbon.. it also allows the pods to escape into the main tank to feed, over all i would give this a 8 out of ten the only thing i would change is to make the out flow ramp a bit longer... as far running a coralife t-5 mini light on this and seems to work just fine. 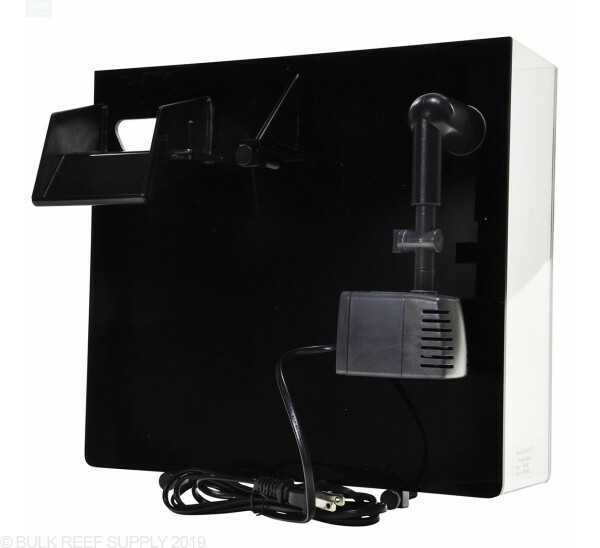 Excellent for someone without the room for a sump or just wants a place to grow macro algae. I have a 40 gallon breeder tank with out a sump. After making the list of the fish I wanted I began looking for a refugium so I can have a place for Copepoda to breed. This led me to the CPR refugium which arrived today. The first thing I noticed was the quality of the product. It fits securely on the tank with little rocking. The only issue I have is with the height it sits above the tank. The CPR light sites extrelmly high above the tank causing light to enter the display tank. 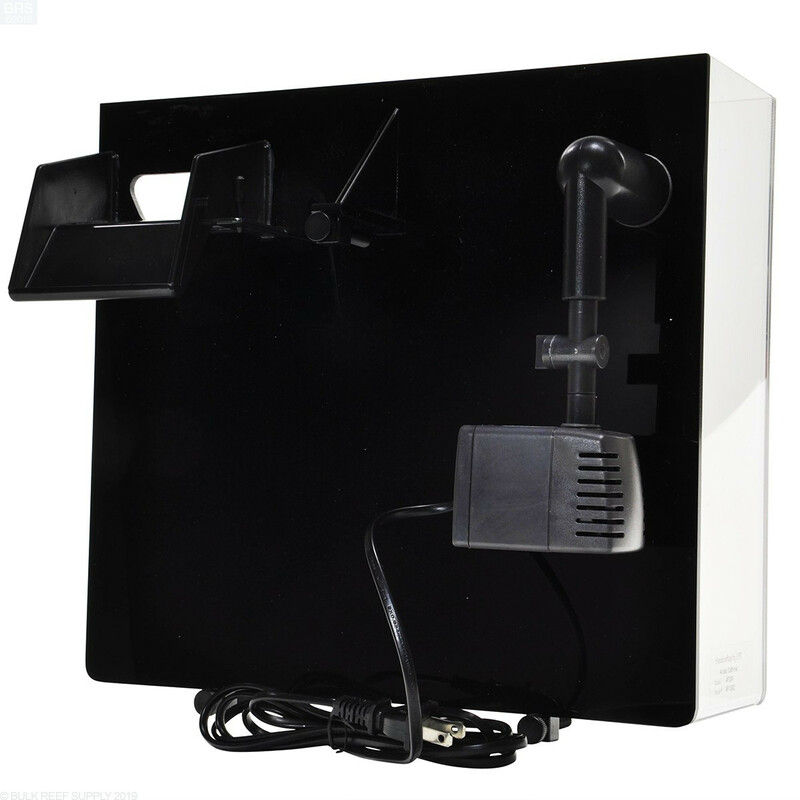 This may be due to the stand CPR includes with the light or the fact the light stands are placed high in the refugium. Overall I'm extremely happy with the product. This is ideal for someone that doesn't have a sump or has limited space in their sump. I have a small 40gal non-rr tank with an HOB skimmer and canister filter. I really wanted to get rid of the canister and add sump but had limited space and plumbing options. The dimensions of these are perfect. The water flow was also excellent. However there are a few design flaws in the product. First, the water level sits 3" above your tank. When the pump is turned off that water levels have to equalize so you will need to account for this or expect your tank to overflow. Next, they redesigned the outflow. It splashes ALOT! I would have preferred the tube that goes below the waterline as shown in the pictures and the manual. And finally the light. DO NOT WASTE YOUR MONEY ON THE LIGHTING OPTIONS. The one I had was defective but besides that, the dimensions caused fitment issues. Instead spend about $10 at your local HD and get a small clip on CF with a 35w 6500K bulb. It looks kind of like an ott light. Runs cool and fits perfect. I just added one to my Tank. I love it. It was missing the light stands though contacted BRS and they are getting me some through CPR. Just set it up today and put a live rock and some Caulerpa in it. I love it, This is a great price for this product with the free shipping. I looked for days for it cheaper and ended up coming right back to BRS.. I am concerned that the light stands make the light sit up too high on the fuge and thus the main tank is well illuminated. I'm going to post the question on the products site. I've been running my fuge for almost a year now. It grows out algae really well. Very well constructed. It is noticeable when compared to Odessya brand of a similar size. BTW i would recommend the light. I figured I could get away with a clip on home depot light, it worked but it was really ugly. I wouldn't be too concerned about the stress on the glass, as most 20g longs are well within the stress tolerances for the glass, and already have to deal with far more outward pressure from the water within. The refugium will add about 20-25lbs of weight to the back pane, but much of this will be vertical. 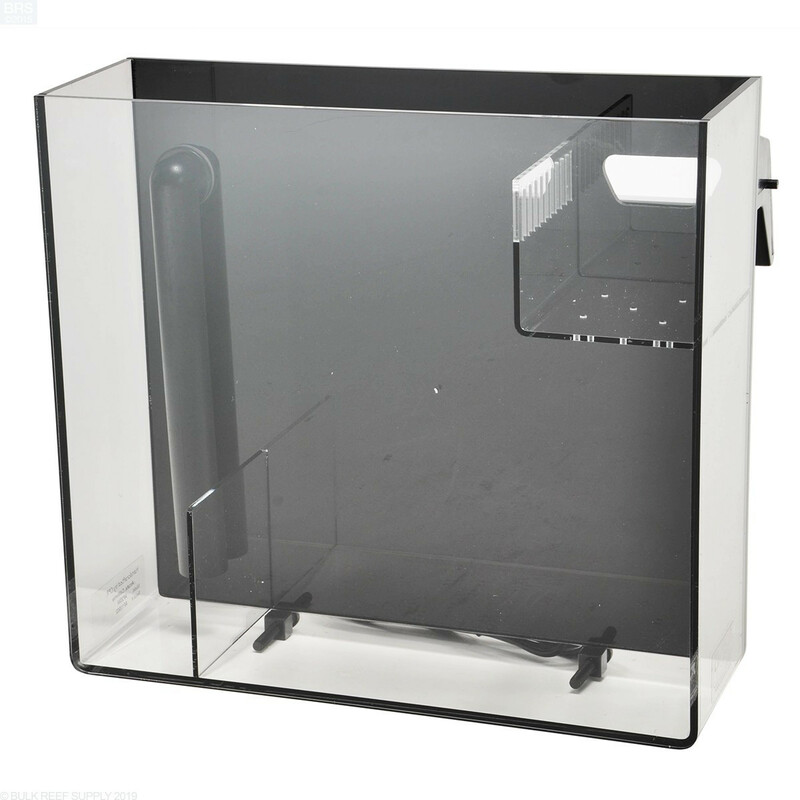 Will this refugium work for 37g tank 20L x 18W x 24H without causing stress on the glass? 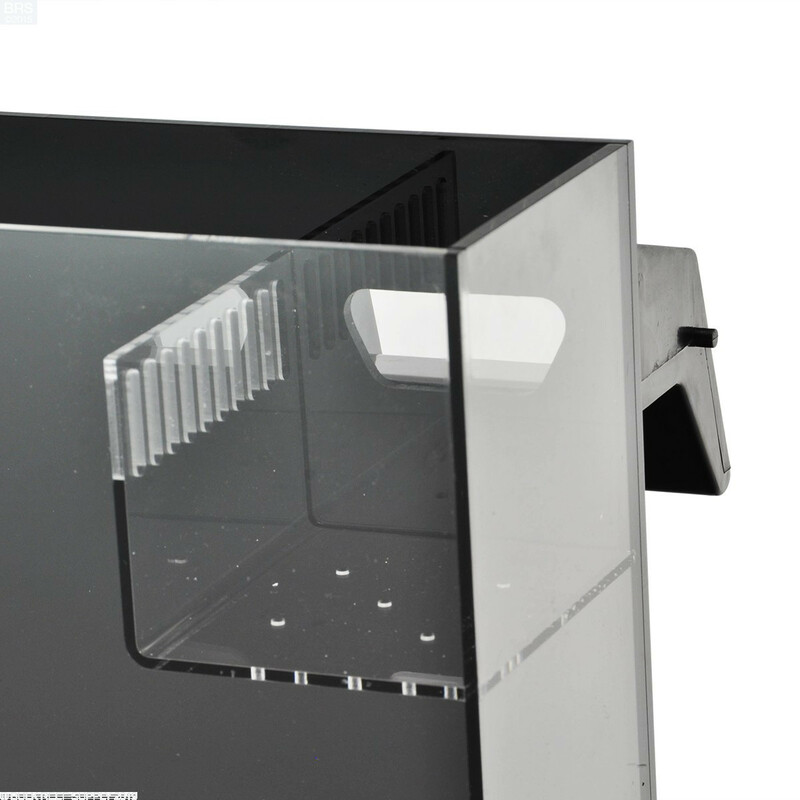 also can i put the refugium on the side? Thank you !! Thanks for reaching out to BRS! 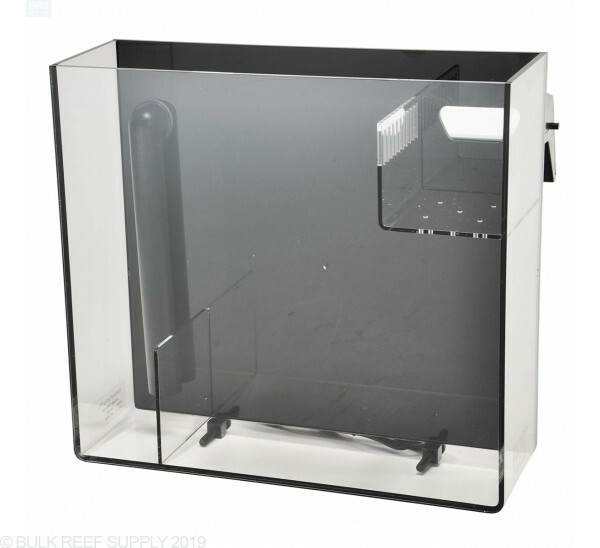 This refugium would be fantastic for that size of tank, however you decide to mount it. You will need a light for the unit as it does not come with one.